Who was the Logan Act named for and what did he do? 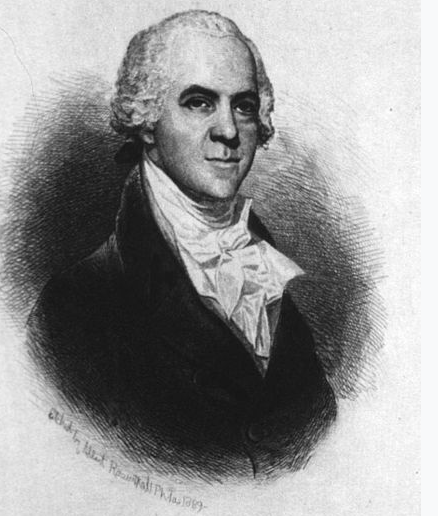 The Logan Act bears the name of Dr. George Logan, a private citizen who took it upon himself to ease tensions between the United States and France after the XYZ Affair during the Adams Administration. While he was well received by the French, he did not fare as well back home. Understandably, the government did not approve of Logan’s attempts to undermine its authority. In order to prevent such an incident from happening in the future, Congress passed the Logan Act in 1799. According to a report published by the Congressional Research Service, there have been numerous accusations, but no convictions under the Act. There was, however, one indictment. Francis Flournoy, a farmer from Kentucky, was indicted by a grand jury in 1803 for promoting the creation of a separate Western nation that would ally itself with France. In the two centuries since the law originated there have been numerous references to the Logan Act by the Department of State and judiciary officials. One such accusation occurred in 1976, following former President Nixon’s visit to the People’s Republic of China. Accusing a political foe of violating the Logan Act is not uncommon. Ross Perot, Jim Wright, and Jesse Jackson are among the many political figures who have been accused in the media of violating the law. Most recently, President Donald Trump’s national security advisor Michael Flynn was accused of violating the Logan Act. In January 2017, the Washington Post reported that Flynn had contact with Russian Ambassador Sergey Kislyak prior to Trump’s inauguration. Top Republican officials did not deny that Flynn contacted Kislyak; however, Vice President Mike Pence explained that Flynn addressed personal subjects that were unrelated to the sanctions. After further investigation, Flynn’s defense was called into question by the acting attorney general. Flynn has since admitted that he cannot be sure that sanctions were not discussed and apologized to Pence for his misleading explanation of the events that transpired between himself and Kislyak. House Minority Leader Nancy Pelosi was among the list of leading Democrats who demanded that Flynn be relieved of his duty as Trump’s national security advisor. Even though The Hill reported on the morning of February 13th that Flynn had no plans to resign from his post, he did just that later the same day. Considering the history of conviction under the Logan Act, Flynn’s future is unknown.